Cision communications director Stacey Miller and Heath Fradkoff, the principal and founder of Ward 6 Marketing, square off over whether the world's biggest technology company needs a Twitter account. As a big advocate of brands large and small having Twitter and other social media accounts, yes, even Apple needs a Twitter account. Twitter encourages engagement and enables brands to quickly and concisely communicate with their followers. While Apple has been managing accounts that represent divisions at the company, this account will represent the official voice of the brand. Furthermore, Apple’s key demographics use Twitter for their news and updates. In fact, according to Twitter, 74% of people who follow a brand do so to get product updates. All brands should be on Twitter to build trust with their audience and increase sales because 72% of followers are more likely to make a future purchase, according to a survey about small businesses, which I believe translates to big businesses. However, knowing Apple’s reputation and the trust people have in its products, the account could be used for customer service routing, media monitoring, user feedback, and major announcements. For Apple, having a presence on Twitter is more about maintaining customer loyalty, staying top of mind, and creating a personal connection — which is crucial, with 85% of users feeling more connected to a brand after they begin following it, according to the same survey. it can monitor brand mentions and implement social listening so it can respond before its competitors. For example, examine the iOS versus Android conversations across social media, and how third-party reviews and word-of-mouth can influence purchase decisions. While the iPhone continues to battle the Samsung Galaxy for market share, Twitter can become a useful tool to harness the feedback of consumers to influence Apple purchases. For a company of this size, this is a massive undertaking that would require one of the world’s largest social media command centers. However, it will provide a great case study on how to implement and scale a program of that caliber for marketing and comms pros to learn from. Dormant since 2011, Apple’s Twitter account suddenly activated in the iPhone 7 launch lead-up. The company added a profile logo and a cover image and sent "dark posts" ahead of the event. However, aside from those short-term promoted posts, there have been no official tweets from @Apple. Nobody outside the company is quite sure what to make of this. It begs the question: does Apple really need a corporate Twitter account? Does a bear need pants? Twitter’s great for many things, and it’s an especially important tool for brands. Pants are great, too. But bears don’t need pants. Bears are already warm and cozy. Pants will just get in the way. Likewise, Apple doesn’t need a corporate Twitter account. Brands largely engage on Twitter to meet three goals: establish a corporate persona, disseminate corporate news, and encourage transparency between the company and the public. But Apple doesn’t need any of this. The company has better ways of maintaining its public persona. Apple’s brand identity has been painstakingly constructed through its products, its interfaces, its advertising campaigns, and its stores. Apple’s loyal customers are some of the most emphatic of any consumer brand and the company already employs accounts such as @AppleSupport on Twitter to address user issues. It has no need to disseminate news. Consumers actively seek out the latest updates. Company announcements have become heavily anticipated and widely reported events. For Apple, getting the word out is no sweat. is highly unlikely to seek more transparency. As brand managers and digital directors know, Twitter can be volatile. One misstep can threaten a deftly constructed brand perception. If Apple takes to Twitter the same way other brands do, it’ll be a high-risk, low-reward game. The pain might not be worth the effort — just like putting pants on a bear. If Apple needs a Twitter account, it’s hard to see what it needs it for. In the weeks after the account resurfaced, it was most famously used for a tweet introducing the iPhone 7 that preempted the announcement itself. 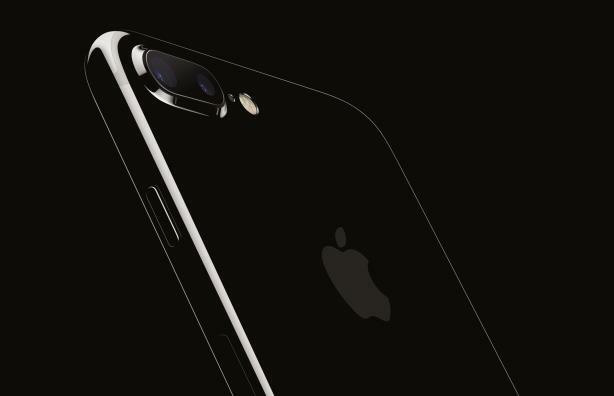 Has Apple switched on proactive PR with its launch of the iPhone 7? Gloves Off: Was Twitter's rise to 280 characters wise? Is VR ready for prime-time marketing? Gloves Off: Is Vine worth missing?